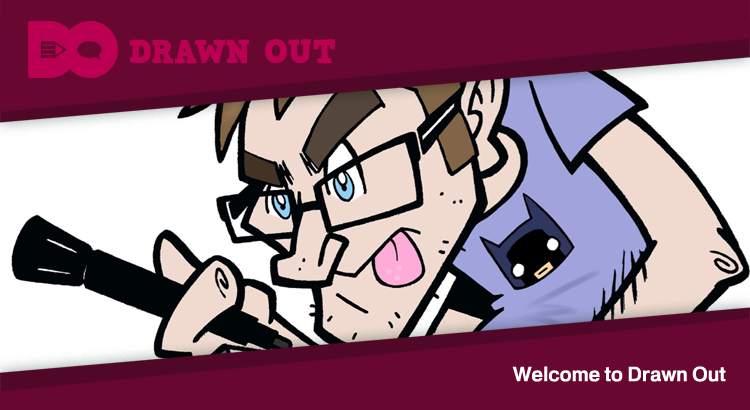 Drawn Out is a new weekly podcast from Heard Yet Media featuring interviews with cartoonists, animators and illustrators. From comics to street art and from political cartoons to TV animation, we will be speaking with a range of interesting, creative people like Greg Moodie, David ‘Swatpaz’ Ferguson, Gill Hatcher, Colin Bell and Neil Slorance. Hosted by Glasgow-based cartoonist Terry Anderson, the show’s first season will comprise twelve episodes released between September and November. A second series is expected to follow in the new year. Join us by subscribing to the podcast in iTunes, Pocket Casts, TuneIn, Stitcher or in your usual podcast app.